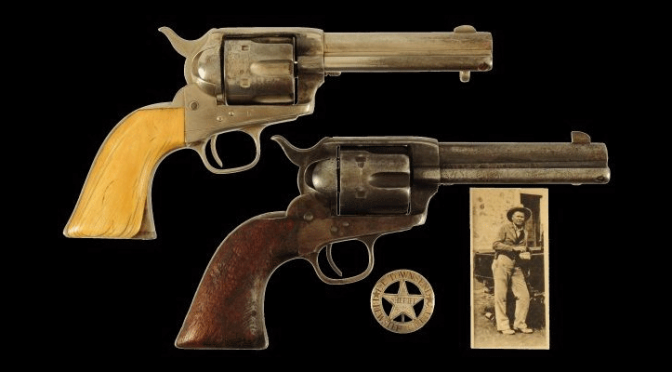 Western memorabilia from the collection of San Antonio artist Donald Yena is being auctioned off at the Burley Auction Gallery in New Braunfels, Texas. The auction will include antiques, firearms and original art from the collection of the famed artist and his wife Louise. Many collectors of western Americana may not be able to attend the live auction in person on March 1. 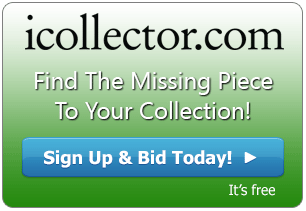 Fortunately, iCollector has a full listing of all available lots, as well as a place for you to submit your absentee bids. 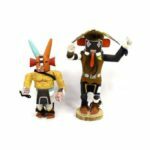 The Wild West has captured the imagination of Americans for years, and this collection of unique items will surely ignite those images of mystery and intrigue on the great frontier. No western auction would be complete without a few antique firearms. 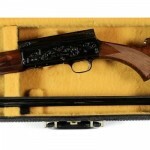 This auction includes the Winchester Model 1873 rifle from famed Texas ranger Captain Frank Jones (lot #102). On June 30, 1893, Captain Jones entered the town of Tres Jacales, Mexico, with a warrant for the arrest of Jesus-Maria Olguin and his son Severio for cattle rustling. Once in the town, Captain Jones and his men were ambushed by outlaws hiding in an adobe building. The incident came to be known as the Battle of Tres Jacales. Captain Jones' original rifle with complete documentation will be available to the antique firearms collector. A highly ornate, antique County Sheriff's badge from the late 1800s would make a unique addition to any collection (lot #93). The badge once belonged to Bexar County Sheriff Thomas P. McCall and is made of 14k gold. He was the sheriff of that county from 1878-1880 and then again from 1882-1884. Donald Yena has made a name for himself as a premier painter of western landscapes. 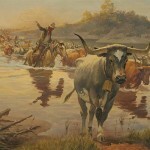 Many of his original oil works will go on sale along with the western antiques. His painting "Tracker and Plenty Sign" was originally hung in the Texas Ranger Museum in Waco, Texas, and features a ranger and his horse in a dried river bed (lot #196). Another piece by Yena featured in that same museum is one called "Big Iron in Hand" and displays a man on his horse with a group of figures in the distance (lot #197). 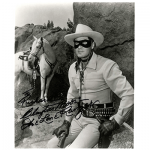 Those who are intrigued by the danger and romance of the American West should take a look at all the lots listed over at iCollector.com.